If you are looking for a terrific buy in a location that is minutes away from I-45, The Woodlands, Lake Conroe and more - 325 Bois d Arc is the home you have been looking for. This home is sparkling clean and ready for a new family! The converted garage is the perfect family room or perhaps for the master bedroom! Updated appliances and an HVAC system that is only a few years old. Nestled in a quiet, etstablished neighborhood this home is the perfect place for a young family, a newly married couple or even an empty nester! 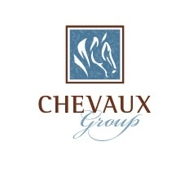 Call CHEVAUX GROUP today to schedule a showing of this home!